I was in South India last month and when I saw the Jackfruit, I remembered my friend Karen. Some time ago I tried to explain to her what the Jackfruit looks and tastes like but I don’t think I succeeded. In fact people all over Asia believe that almost all parts of the Jackfruit has some medicinal property. The fruit is packed with beta-carotene, the disease fighting anti-oxidant It is also rich in dietary minerals like calcium, magnesium, potassium and iron. 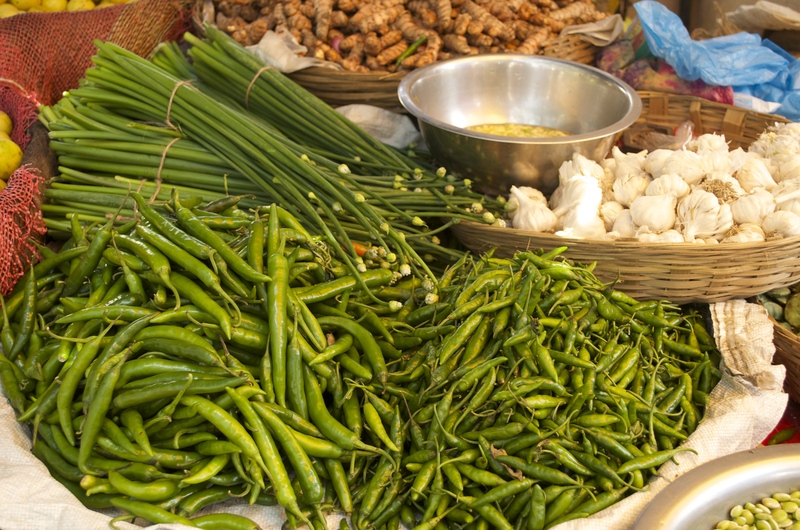 A combination of carbohydrates, dietary fibre, micronutrients and minerals makes this a super food. The Jackfruit seeds are equally nutricious and they are used to make curries and one of my favourite curries is prawn and Jackfruit seed curry with roasted coconut gravy. Please expect the recipe in a later post. 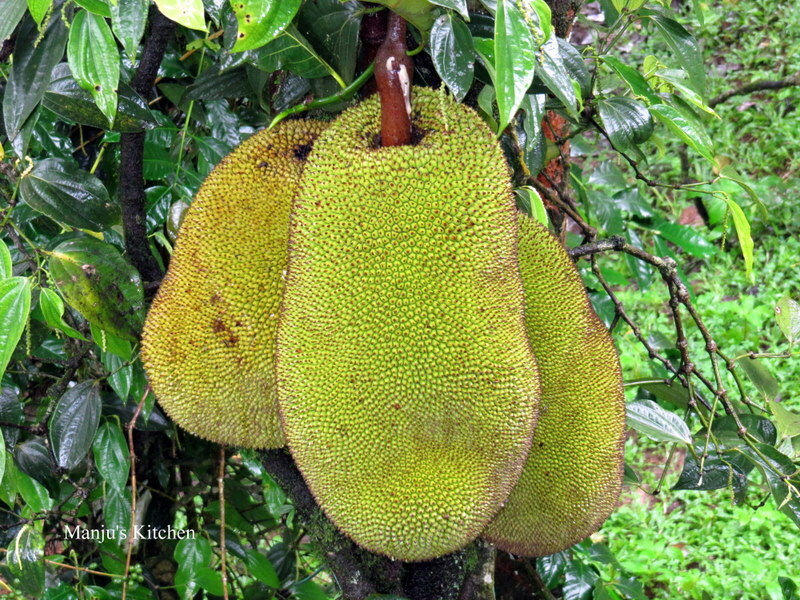 The Jackfruit tree is believed to be indigenous to the southern rain forests of the Western Ghats of India and it is supposed to be the largest tree born fruit in the world. I was aware of this but didn’t know that the name Jackfruit originated from the Malayalam word for it, chakka. Surprising! The size of the Jackfruit is so enormous that once you cut open a ripe fruit it is very hard to finish. 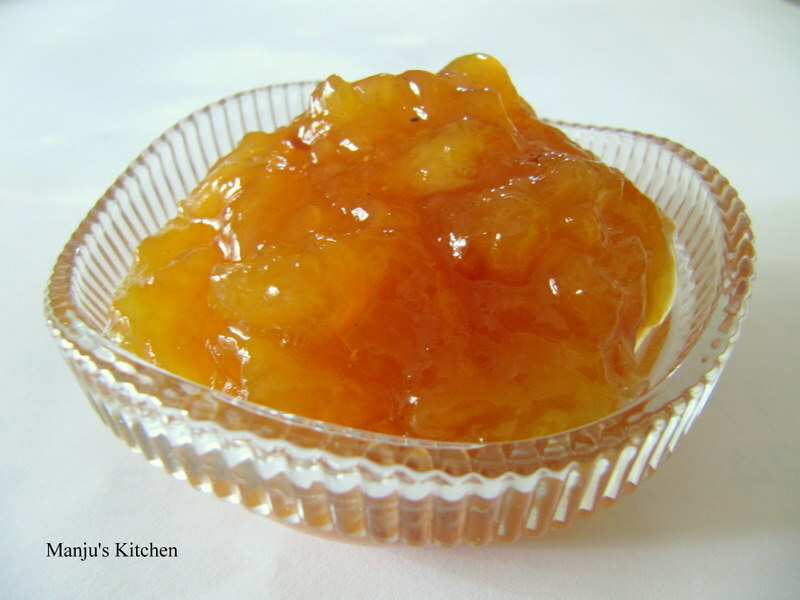 In Kerala the ripe fruit is usually cooked and preserved with brown sugar and it is called chakka varatiathu. It is my favourite dish and this time when I was back home we got a delicious Jackfruit from my aunt. We cut it open and enjoyed the delicious flesh but as usual we couldn’t finish it and I decided to make the chakka varatiathu but then realised we didn’t have any brown sugar in stock. The result was Chakka Jam, (with white sugar instead,) which I brought back to enjoy for the rest of the year. It’s a very simple recipe but it’s delicious! 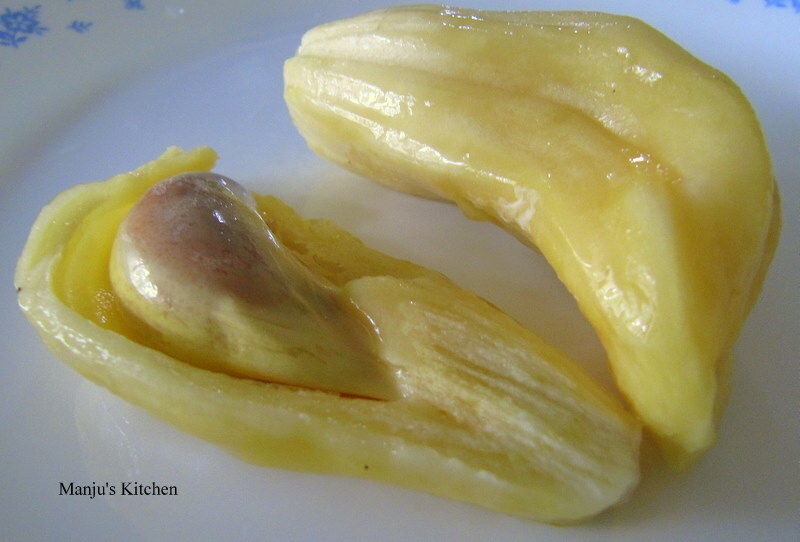 Cut Jack fruit flesh into small pieces and cook with sugar until thick and dropping consistency. Yes, you are right Jaggery is the exact word for Indian brown sugar.